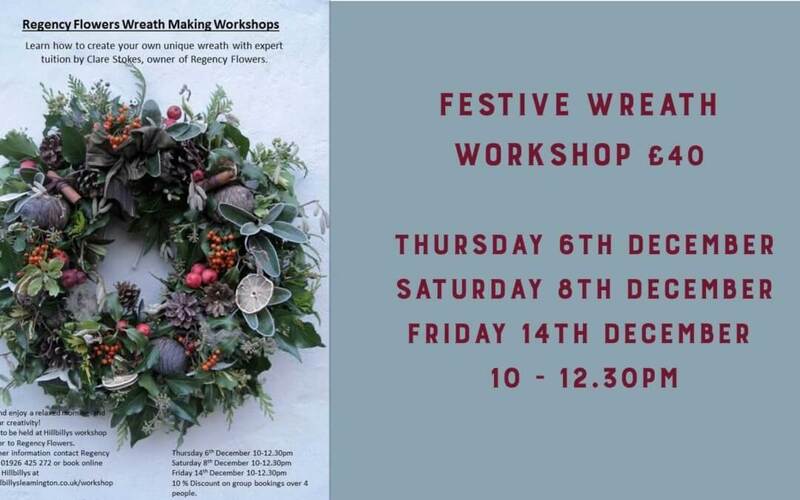 Learn how to create your own unique wreath with expert tuition by Clare Stokes, owner of Regency Flowers. Classes to be held at Hillbilly workshop next door to Regency Flowers. 10% Discount on group bookings over 4 people.